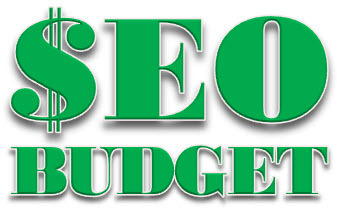 There’s no way to set budget for SEO and provide accurate expectations. There are too many variables that the SEO specialist cannot control. Let’s look at a couple of cases. I recently worked with a tire dealer in a medium size suburb. We searched ten pages deep for him on five of his best keywords. He was nowhere to be found. I recommended a few onsite changes and asked him to invest less than $1000 for me to build him some links. I did not ask for a long-term contract or a monthly fee. He was surprised because he was used to dealing with online yellow pages reps who wanted an annual contract of $300-$500/mo. I told him that it was impossible to tell what it might take to get his business to page one and that I wanted to try a few things, prove results and then we could re-evaluate his needs. So we proceeded and in less than 60 days, the onsite changes and the links propelled his business to the number one position for three of his five keywords and above the fold for the other two. Did they just pay an SEO company $10,000 to get their business to page one? Did ten of your competitors just hire SEOs? No way to tell. What will the market do? Maybe you want to rank for something that isn’t that competitive, but then CNN runs a story on your industry and everyone and their brother starts writing about it. Maybe you sold a “Vanilla Twilight” candle and you used to rank very well for that keyword until the Twilight novels and movies came out. Good luck ranking for that keyword today. This is the big one. I’m not even kidding. Google changes their mind about what makes a website rank all the time. Check out this infographic about Google’s algorithm changes over the years. Seriously, you could be doing everything that works and you’re ranking great. Then one day, Google flips a switch, and everything you’ve done to rank on page one is now causing you to fall to page five. (Sigh) I wish I had a good answer here. But I just don’t. I think every case is different. For my local tire dealer, it was pretty easy to get results. For my national client who wanted to rank for 100+ keywords, we decided on a budget he felt comfortable spending and we targeted a handful of keywords. When we started seeing results, we increased the budget and went after more keywords. Have we gotten all of his keywords to page one? No. Is his investment in SEO getting measurable results that provide a positive ROI? Yes. And so we trudge on, doing the things we know to improve rankings on the almighty Google . . . until they don’t and we have to figure out what does. What should your SEO budget be? It all depends on your market, your competition, and the variables of your unique situation. If you’re a small to medium local business, maybe it’s less than $1000/mo and then you evaluate results after six months. If your website is in a very competitive market trying to compete nationwide, the budget you need to spend is probably going to be more than you want to spend. So you’ll have to just figure out what you are comfortable spending, hire someone who can prove results in a reasonable amount of time and launch a campaign. As you start to see positive results, extend your commitment, increase your budget and continue as long as you are achieving your return on investment goals. Once your onsite optimization is done you’ll probably always want to invest (time or money) into ongoing content creation and link building. These things will continue to improve your rankings (and you can bet your competition is, or will be, doing them). I wanted to add a comment here to further complicate the issue of devising an SEO budget. Because there are really three elements of SEO (on site optimization, content creation and link building), you’ve really got three budgets within a budget to consider.